If PTSD in returning soldiers wasn’t such a serious issue, then The Right Side by Spencer Quinn would be a humorous book. But it is a serious issue and Quinn handles it with humor while getting his point across: PTSD can manifest itself in many ways, some of which mess with your mind, make you forget things you remembered seconds ago, disorient you. If you were expecting another Chet and Bernie novel, you won’t find it in The Right Side, although a key character is a dog named Goody. LeAnne Hogan was injured in Iraq, losing her right eye, her right side becoming her blind side. While in Walter Reed Hospital, she befriends her roommate, Marci, who dies suddenly of a blood clot. LeAnne decides on the spur of the moment that Walter Reed is doing her no good, nor is the hospital psychiatrist, Dr. Machado, so she up and leaves, with no particular plan. Readers will follow LeAnne as she makes her way across the country in search, really, of herself. The ups and downs are dramatic, the almost loss of control at times real and scary. Quinn acknowledges two U.S. Army Veterans who reviewed and critiqued the book, so I’m assuming that Quinn’s portrayal of PTSD is accurate. Quinn draws a good and realistic picture of LeAnne and if you’re anything like me, you’ll be drawn to her and Goody and want her to overcome her demons. In reality, I’m guessing, you don’t necessarily overcome them; you just get them somewhat under control. If you’re interested in a young adult book on PTSD, then I’d suggest The Impossible Knife of Memory by Laurie Halse Anderson and The Things a Brother Knows by Dana Reinhardt. I’ll go out on a limb and say The Right Side is one of the best books I’ve read this year, not necessarily because it’s overly literary, but because it addresses an ongoing issue with sensitivity and humor. The last line of Fredrik Backman’s Acknowledgements at the end of A Man Called Ove reads, “Rolf Backman. My father. Because I hope I am unlike you in the smallest possible number of ways.” That says it all because that’s how I felt about my dad. And if Ove is even remotely like Rolf, Mr. Backman Sr. is worth emulating. I’ve always said I’ll morph into a curmudgeon when I get older (and my kids notify me that I’m already there). If I do or if I am, I’ll take being compared to Ove as a compliment (as I do when compared to my father). He’s a quiet man. A man who found the love of his life and throughout 40 years of marriage could not understand by Sonja married him. He believed in few things. There is a right and a wrong. There are rules that must be followed. You can, to some extent, judge a man by the car he drives (absolutely!). And a person should be able to care for himself and his possessions-house, car, etc. If you can’t, you’re most likely an idiot. Ove is the type of man who is lost in today’s world of fast talkers, computers and possessions. And so it is that when Sonja dies of cancer, Ove is lost. The one thing he valued most in this world is gone as are all the little things they did together. Have breakfast in the morning. Go to the café on Sunday morning where Sonja would have coffee and people watch while Ove would read the newspaper. He misses her curling her finger in the palm of his hand. While alone and lost in the quiet of his house, he is annoyed when he sees someone backing a trailer in the space between his and the neighboring house, ruining his garden and running over his mailbox. To save what remains of his yard, he ultimately backs the trailer up himself. His new neighbors consist of a hugely pregnant Iranian woman, Parvaneh, her ‘idiot’ husband (he can’t back a trailer into a drive), and their three and seven year old daughters. Little does Ove know the havoc they are going to wreak on his life, borrowing this, asking that, barging in to his house uninvited, needing rides here, there and everywhere. It is sure to throw a major monkey wrench into his plans. 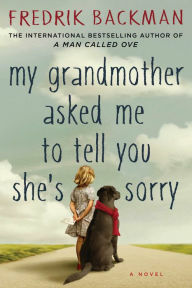 Backman’s latest book, My Grandmother Asked Me to Tell You She’s Sorry (which I loved), is filled with the kind of quirky characters I love to read about. In A Man Called Ove, Backman has created a character that it is hard not to love. Indeed, Ove is gruff. He’s opinionated. He can harbor a grudge (even after forgetting how it originated). But he loved Sonja more than life itself. He visits her grave every week, changing the flowers, telling her the news, imagining her responses. I don’t know if Backman has a thing for animals but they pivotal roles in both books. What can be bad about that, right? I found the translation of this Swedish book to be somewhat halting in nature. And there were several favorite phrases that kept on appearing. But for some reason it added rather than detracted from the book. It is rare that I read two books by the same author back to back. 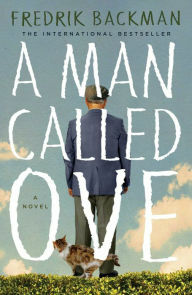 And it’s rarer that I like the second one more than the first, but that was the case with A Man Called Ove. I’m even considering making it part of my personal library. That says a lot. If you are in the mood for a truly satisfying read, Fredrick Backman is the author for you. I am awaiting impatiently for his next book. I hope it comes out soon. So, last night my daughter and I had 15 minutes to kill after dinner and before we had to leave to see Josh Ritter in concert (he was really good by the way, even if he didn’t sing Right Moves). Since the restaurant, DiMaggio’s in Port Washington, is down the street from the North Shore Animal League, we decided to window shop. Well, folks, I know I’m over 60 and I know I look over 60, but does someone have to remind me????? Blah!!! It seems that people over 60 don’t have to pay the adoption fee and she wanted me to help with her daughter adopting a pet. So, if you’re looking to read a blog from an old guy, keep reading this. And a word of advice: Don’t remind us old folks that we’re old. We like to think of ourselves as forever 18. Two days after Christmas, as Bob Saginowski is walking home from his late night shift at Cousin Marv’s Bar, he hears whimpering emanating from a garbage can. Investigating, he finds under the debris, a bleeding, obviously beaten puppy. Nadia, the occupant of a nearby house offers to help clean up the puppy, ultimately named Rocco after the Patron Saint of dogs. Both lonely, Nadia and Bob soon form a relationship. When the bar, previously owned by Bob’s cousin Marv but now owned by brutal Chechen mobsters and used as a drop for mob cash, is robbed the following night, the Chechens strongly advise Marv and Bob to recover the money or suffer serious consequences. To make matters worse for Bob, the dog’s psychotic previous owner, Eric, wants it back and threatens Bob, Nadia and Rocco. It is the relationship among all these characters that drives the plot. Let me start by saying I’m a big Dennis Lehane fan. I love his mysteries and the characters. His historical fiction is good. The Given Day is a phenomenal book. So I was excited to get an advance copy of The Drop. 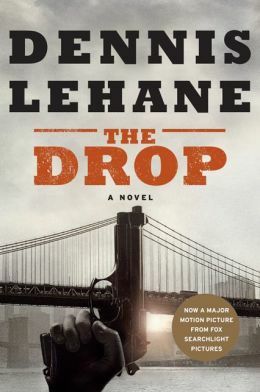 The Drop is an expansion of the Lehane story, Animal Rescue, included in the book boston noir. It was a disjointed story to begin with, however, and all he did was transform it into a disjointed novel. Bob, Nadia, Marv and Eric all harbor deep, dark secrets and desires. Unfortunately, that doesn’t make them overly interesting. The predictable plot and ending contain little ‘noir’ and less suspense. There are changes that Lehane made from the short story that don’t seem significant. For instance, The Drop takes place after Christmas; Animal Rescue after Thanksgiving. Why change it? There are oblique references to the short story, as well. In Animal Rescue the dog is named Cassius, after Cassius Clay. In The Drop, Bob mentions that he almost named the dog Cassius instead of Rocco. I’m sure that was for his own amusement, but I didn’t find it funny. I seem to be the only one who was dissatisfied with this book. All the reviews are glowing and I didn’t realize that they made a movie out of it. But, sadly, The Drop fell far short of my expectations. I will not follow the crowd on this one. 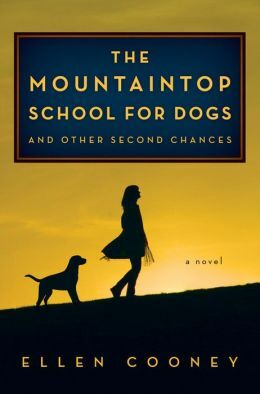 I don’t know what to make of The Mountaintop School for Dogs by Ellen Cooney. I read a good review somewhere and since I like dogs, I thought what the heck. I might as well try it. Hmmm! Her first stop is the inn at the bottom of the mountain run by Mrs. Auberchon, a 60-70 year old who’s been running the inn for years. She vascillates between relishing her solitude on the premise that recruits always leave a mess (there weren’t any recruits prior to Evie arriving) and relishing company. It seems like Evie is not really going to receive much in the way of training. She’ll merely have to experiment to learn how to train dogs. While learning how Evie comes to terms with her life, one also learns of the horrendous cruelty some people perpetrate against dogs: dog fights, choke collars, beatings. 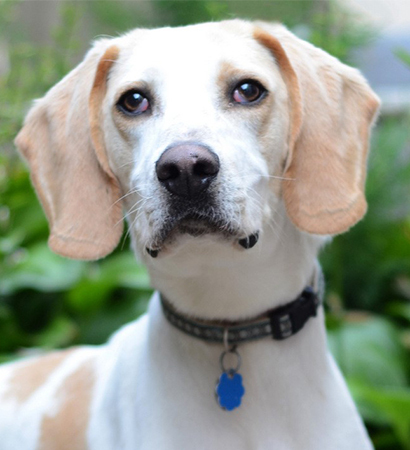 Your heart will go out to our four footed friends who typically give unconditional love. Can Evie make them forget about their past. Can they make her forget about her past? Evie and Mrs. Auberchon are memorable characters. Boomer, an old golden retriever, took my heart. But are they enough to carry the book? I’m just not sure. Emma Sasha Silver is fourteen when she is blinded by a backfiring fireworks at a town Fourth of July celebration. For the next six months she remains a lump on the gold couch in her living room, doing little to learn how to live in her dark world. It is then that her parents (doctor father, artist mother) decide to send her to the Briarly Academy for the Blind. It is there that she learns to cope with many of the physical day to day tasks of living. However, it did little to enable Emma to cope with the psychological trauma of blindness after being able to see for fourteen years. A year after “the accident”, Emma is now mainstreamed into high school. The excitement of this remarkable achievement is overshadowed by the drowning death of Claire, a friend and classmate. Adults and grief counselors, rather than addressing the death head on (suicide? accident?) offer only platitudes and half truths. But Emma wants to know more…why? What happened? What caused Claire’s death? How can kids help each other avoid getting to the point of suicide? She organizes a group of kids to meet and talk. Will it help? You’ll find out. 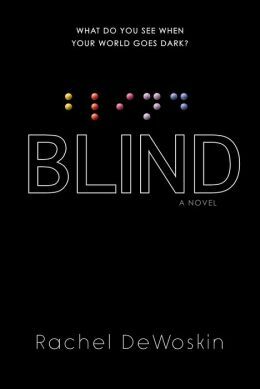 There’s a lot to like in Blind by Rachel DeWoskin. Firstly, it’s the first teen book that I know about that deals with blindness and it handles it very well. The range of emotions. The techniques for getting around (organizing clothing with Braille labels, a place for everything and everything in its place). Emma has six siblings from older sisters Leah and Sarah to Babiest Baby Lily. Of course, Emma’s first thoughts are me, me, me. Why me? How can I live? Who will love me? But there comes a time when Emma realizes that her entire family has been affected by her blindness and she begins to see outward. At first I thought the death of Claire was an obstacle in reading the book. There was a significant story just in dealing with the blindness and its impact on everyone. But later I realized that the contrast between what Emma went through and the “unknown” that Claire went through is an important part of the story. What makes a survivor? Why can one person live and thrive after becoming blind while another potentially ended her life on purpose without enduring anything nearly as catastrophic. The characters in Blind are great. They run the gamut from best friend Logan who helps Emma manage getting around to some cynical classmates to Emma’s sisters, some understanding, some gruff. It’s interesting to note that the younger ones sometimes have the most honest perspective…but we all know that…out of the mouths of babes. There’s comfort food such as chicken soup when you’re feeling ill or hot apple pie with ice cream when you’re sad or hot chocolate on a cold night. What about the concept of a comfort book? Sort of like a best friend who you may see once every two or three years, but every time you meet it feels like yesterday. So, what about a comfort book? 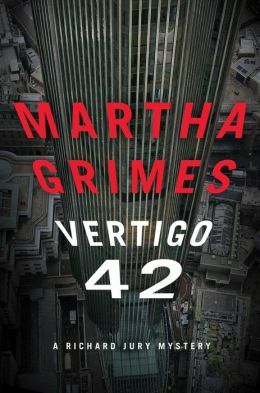 It’s been four years since Martha Grimes wrote her last Richard Jury mystery, The Black Cat, but now we have a new one, Vertigo 42 and it’s like old friends coming back to visit. The old crew is back. Like all Jury mysteries, it contains dogs, children, and his friends Carole-anne Palutski, Melrose Plant, Marshall Trueblood, Vivian Rivington and Diane Demorney, as well as Plant’s aunt Agatha. They seem to have been relegated to the backseat though, having much smaller roles than I remember in previous books. However, Jury’s Sergeant Wiggins seems a little smarter than he did four years ago. Twenty two years ago a young girl was attending a party, fell into an empty in-ground swimming pool and died. Seventeen years ago, the hostess of the above party fell down a flight of stairs and died. Presently, a young woman fell out of a tower and died. Are all of these incidents related? Even though Superintendent Jury is on vacation, he gets involved in the investigation. As are all Richard Jury books, Vertigo 42 is a satisfying read. The title is taken from a bar atop a building in London, a slight deviation from the pub-originated titles of the previous books, but still somewhat related. I will say that the story was a little obtuse, hard to follow the connection at times. Also, in previous books Jury interacted with young children and dogs, whereas this book merely talks about them. I miss that. There was a certain satisfaction that came from these interactions. It put a smile on my face. One thing I found fascinating (which I don’t remember thinking about before) was that a female author has created a male character that notices things a woman would notice. Grimes’ description of clothing and rooms, wallpaper, furniture is certainly not how this man would describe them. I didn’t mind this…I just noticed it. Don’t get me wrong. I really liked Vertigo 42 and am still a Richard Jury fan, but something just seemed absent from this outing.